Stats: Tom Sloane Saddle to Mt. Lowe Road: 1.2 miles, 820′ gain. Mt. 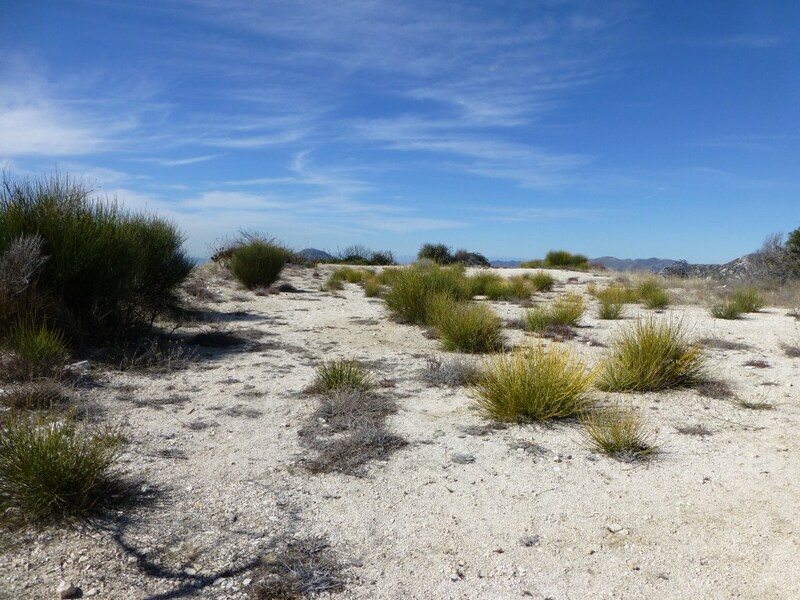 Lowe Road to Tom Sloane Saddle: 1.2 miles, 820′ loss. Round Trip: 2.4 miles 820′ gain and loss. Eaton Saddle to Mt. Lowe and Brown Mountain: 9.1 miles, 2,520′ of gain and loss. Cobb Estate to Tom Sloane Saddle: 16 miles, 3969′ of gain and loss. View of Trailhead from Mt. Lowe Road. Continue along trail to reach another flat area close by. 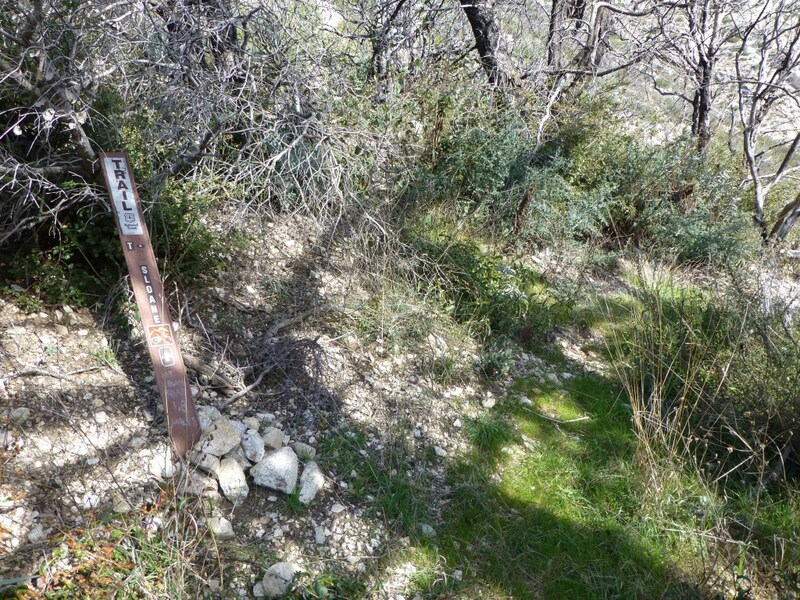 There is another trail sign at the west end of the flat area that marks the continuation of the trail. A number of trails lead from Tom Sloan Saddle. Take the trail with the trail marker going to Mt. Lowe Road as shown below. 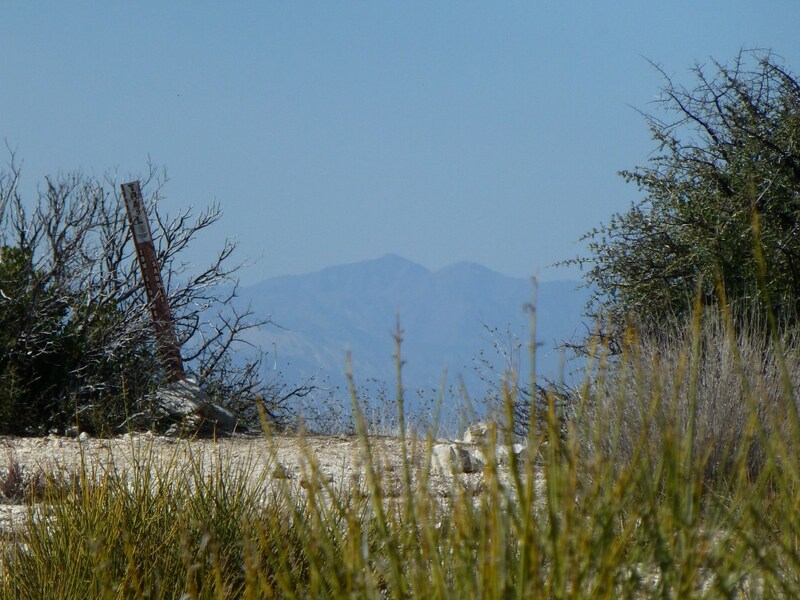 There is another trail that I found to be washed out and covered in poodle dog bush and turned back that looks like it also leads to Mt. Lowe Road but closer to Mt. Lowe Campground. I don’t suggest taking that trail. Here’s what that marker looks like to avoid confusion. I was just up at Tom Sloan Saddle on May 4th, 2017 and the trail to the upper section of the Mt. Lowe road is in good shape. The trail at the sign in the above picture that says T. Sloan actually goes down to Dawn Mine. No Poodle Dog Bush but it is very overgrown (I did minimal trimming) and completely washed out once you get down to the creek that goes by the mine. 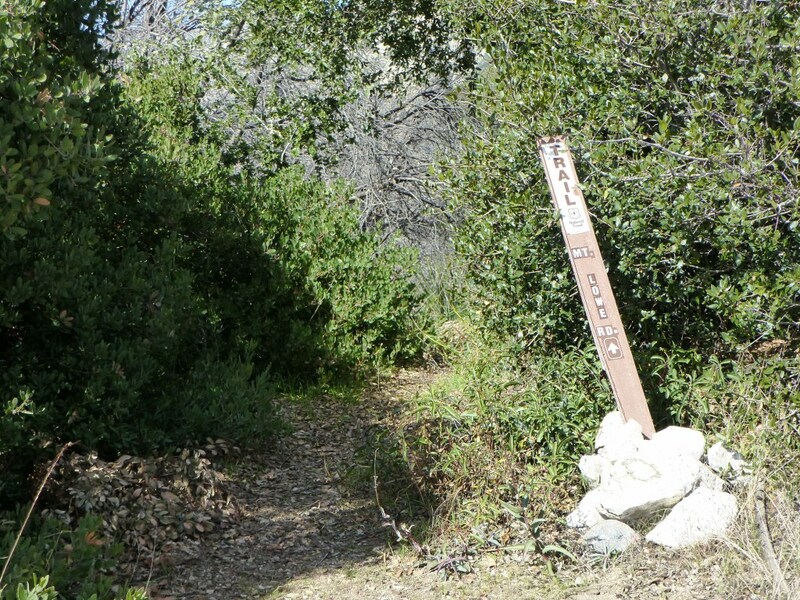 There are some cairns and a faint use path in spots until reaching the mine, but from there the trail is completely rebuilt down to the Millard Canyon Campground. 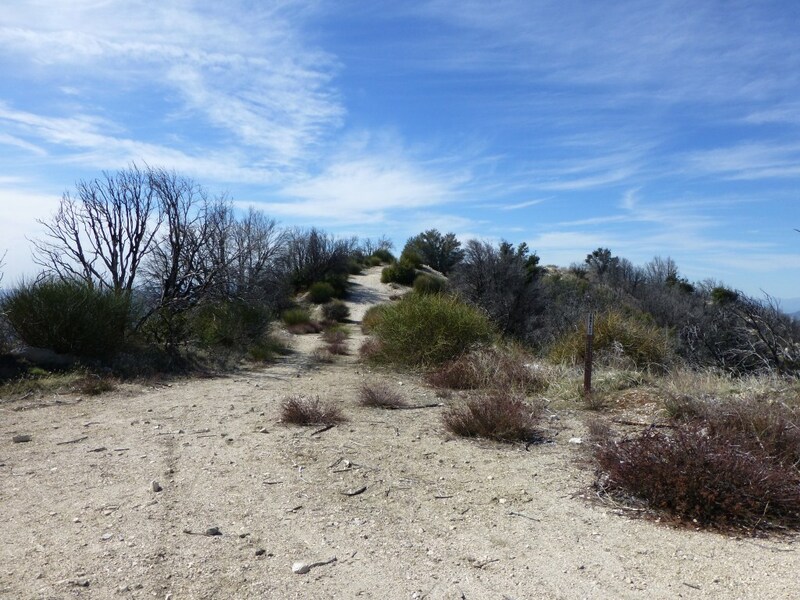 At the mine there is also a recently rebuilt trail that goes up to the Mount Lowe Road just above the Sunset Trail. Back at the T. Sloan sign at the saddle there is a faint fork that goes left which I think is the overgrown trail you mentioned that goes to the Mt. Lowe Road a bit above the campground, which is in poor shape but I didn’t notice any Poodle D. Bush when I did it in the Fall of 2016. The Bear Canyon is fine until you get down to near the creek and then it is very overgrow with lots of poison oak.